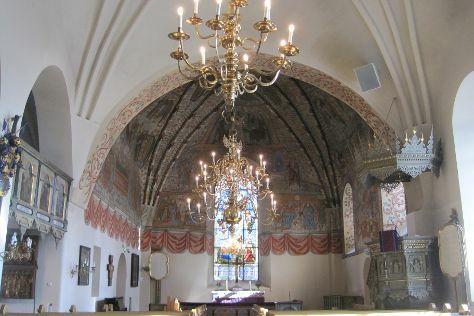 Eschew the tourist crowds and head to The Church of the Holy Cross and Nagu Church. Get some cultural insight at Turku Castle and Aboa Vetus & Ars Nova. Explore the numerous day-trip ideas around Turku: Ekenas Old Town (in Raseborg), Bellevue Beach (in Hanko) and Pargas Church (in Parainen). There's still lots to do: contemplate the long history of Turku Cathedral, take in the spiritual surroundings of St Henry's Ecumenical Art Chappel, and let the kids burn off some steam at Adventure Park. For maps, more things to do, where to stay, and other tourist information, read Turku travel route builder site . November in Turku sees daily highs of 5°C and lows of 0°C at night. Finish up your sightseeing early on the 27th (Tue) so you can travel back home.